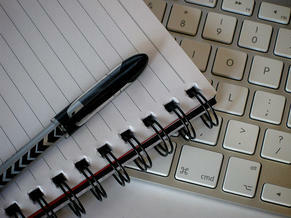 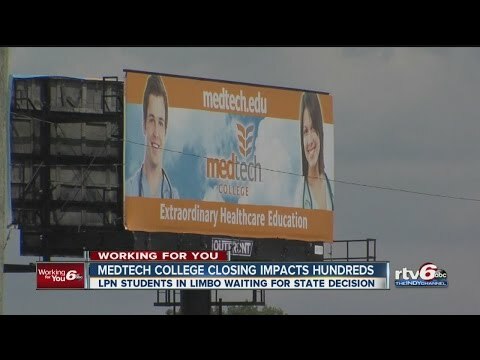 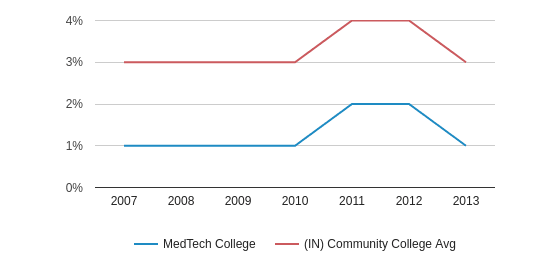 MedTech College serves 529 students (100% of students are full-time). 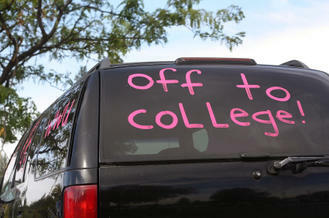 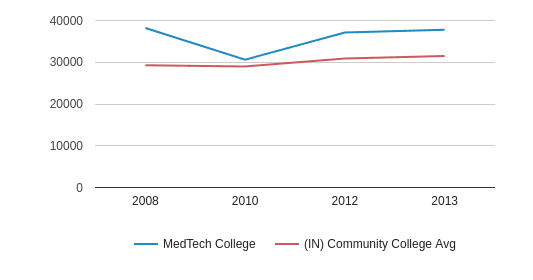 The college's student:teacher ratio of 13:1 is lower than the state community college average of 34:1. 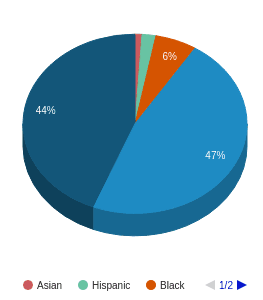 Minority enrollment is 70% of the student body (majority Black), which is more than the state average of 53%. 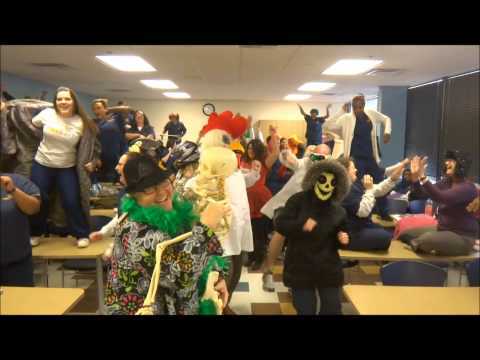 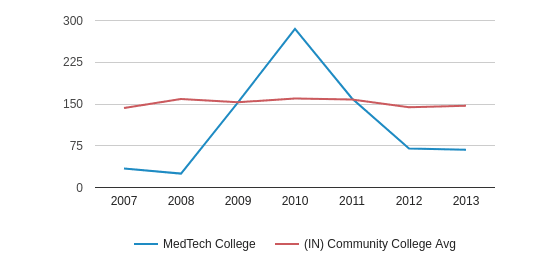 MedTech College is one of 8 community colleges within Marion County, IN. 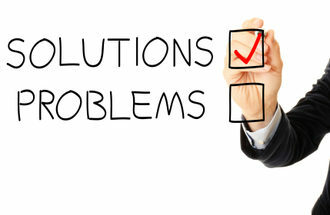 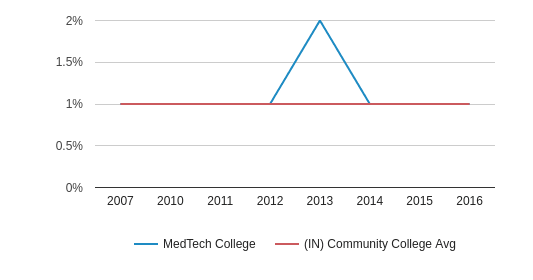 The nearest community college to MedTech College is International Business College-Indianapolis (0.7 miles away). 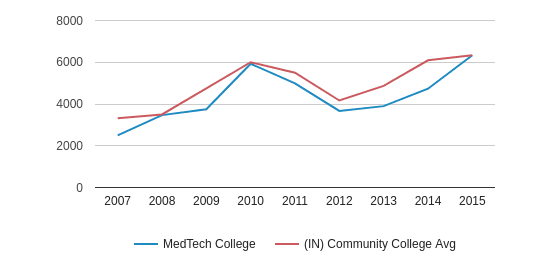 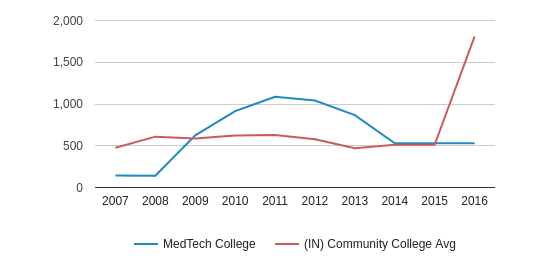 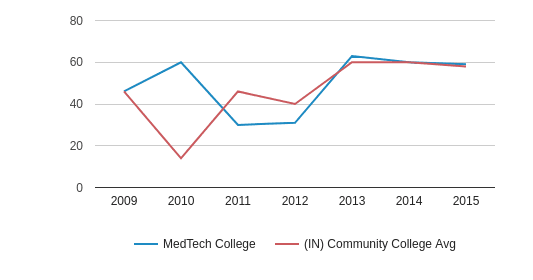 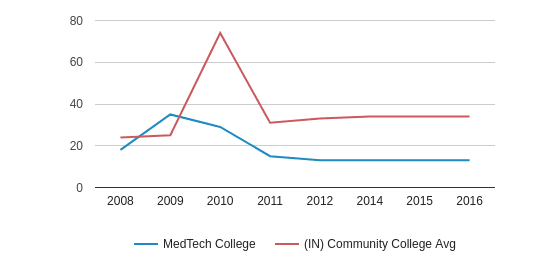 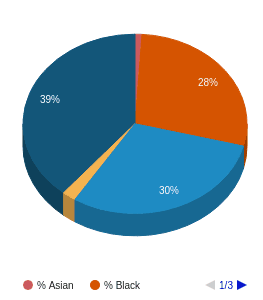 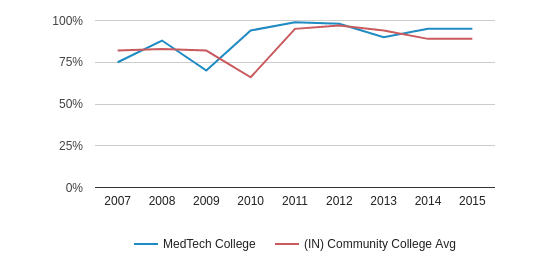 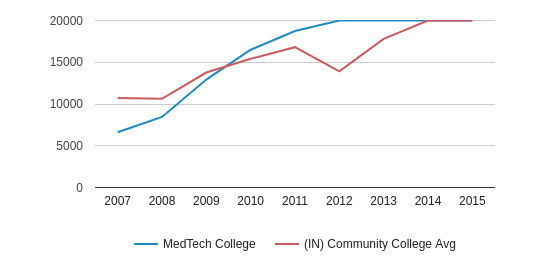 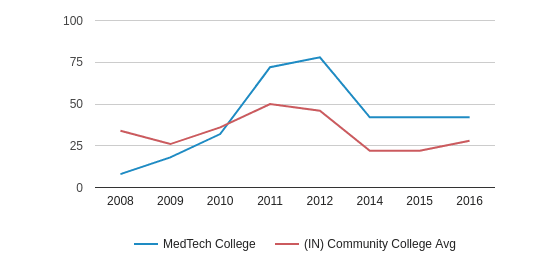 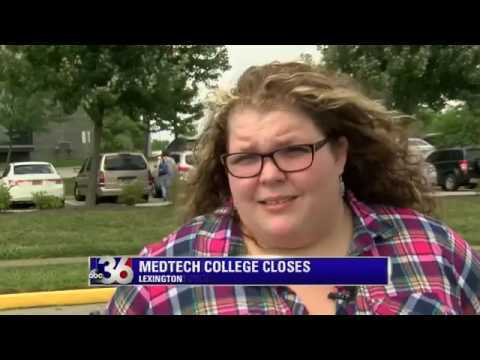 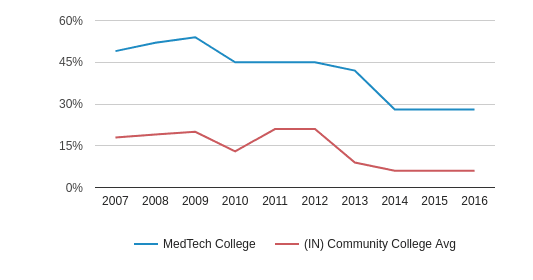 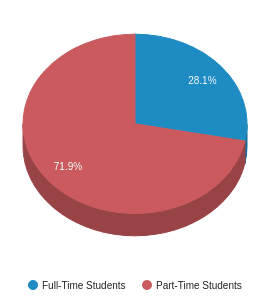 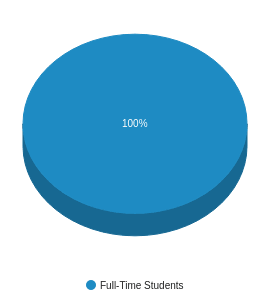 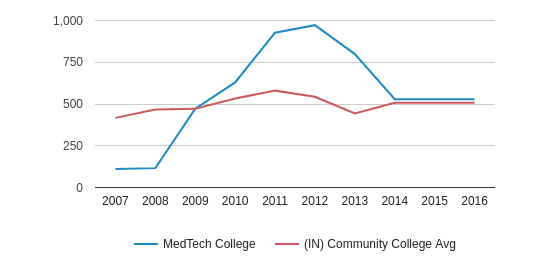 MedTech College (IN) Community College Avg. 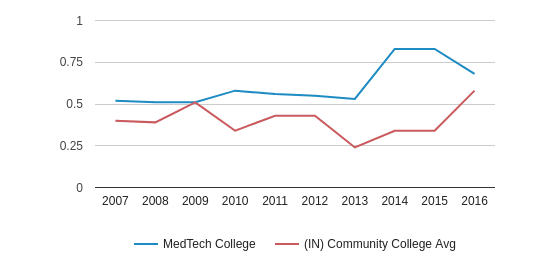 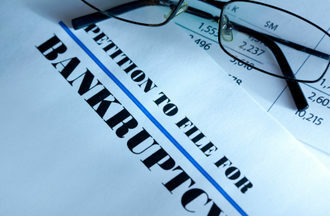 The student population of MedTech College has stayed relatively flat over five years. 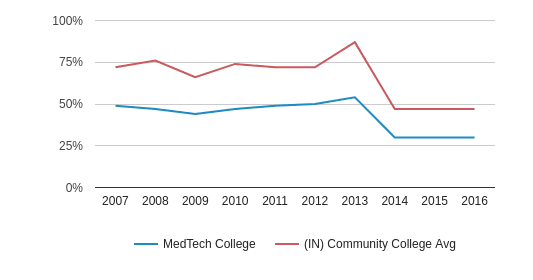 The MedTech College diversity score of 0.68 is more than the state average of 0.58. 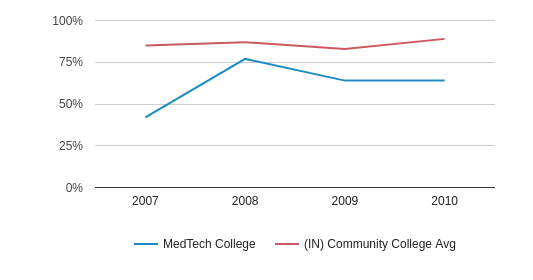 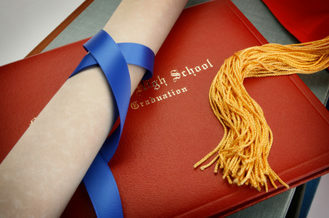 The school's diversity has declined by 18% over five years.